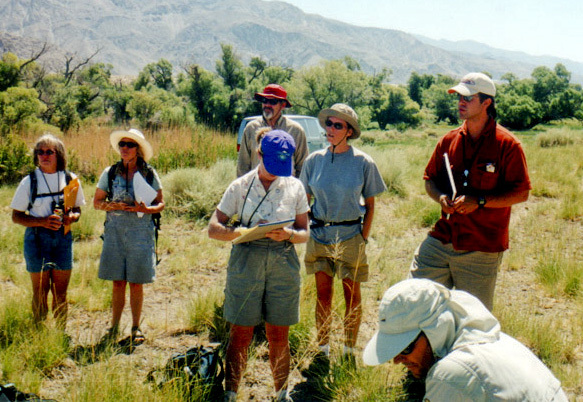 The Eastern Sierra Watershed Project (ESWP) began as a countywide, middle school science education program organized around the historic re-watering of the Lower Owens River. Middle school science teachers throughout Inyo County met with local scientists and land managers to create a curriculum to introduce their students to watersheds, watershed monitoring, data collection, and the management of water resources. The Eastern Sierra Watershed Project takes science in the outdoors to a whole new level-one that gives Owens Valley young people a chance to see the place they live as a science lab and scientists as people they have met.